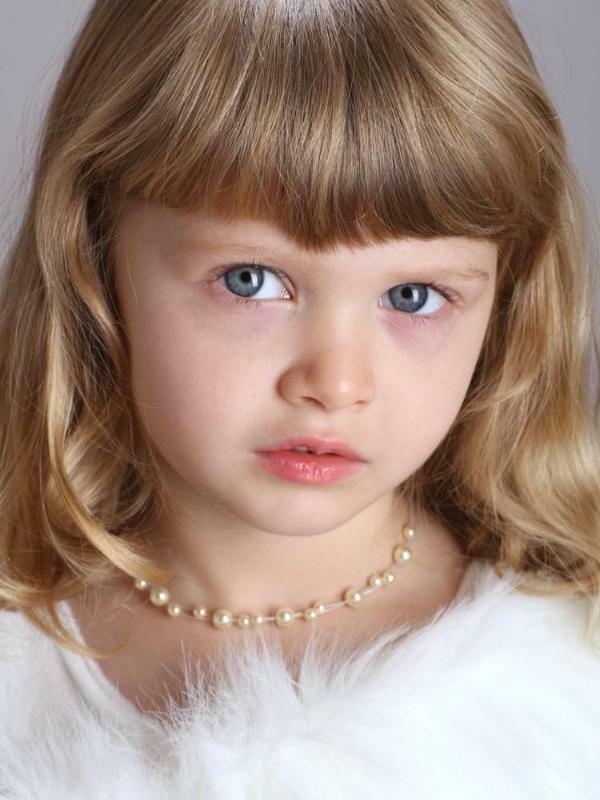 * Mariell's wholesale flower girl necklace has dainty floating white or ivory pearls. * This sweet children's necklace is hand-strung in the USA. 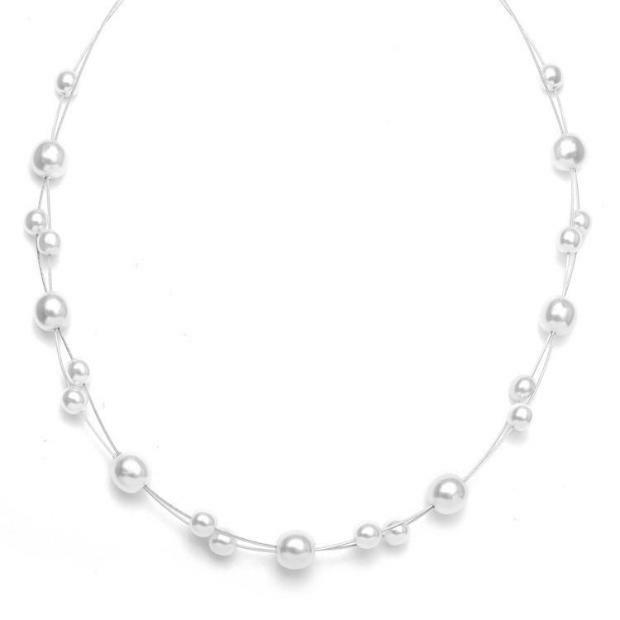 * Your flower girl will look adorable wearing Mariell's dainty floating pearl necklace which is adjustable 12" - 14". * This sweet children's necklace features 4mm and 6mm pearls hand-strung in the USA on delicate silver filament. * This necklace is available white or ivory, has matching earrings style 2116E and is also beautiful for first communions.